This simple poem is written and dedicated to the great artist, Sydney Harpley R.A and great man Mr David Marshall who commissioned and presented this art piece in 1989. 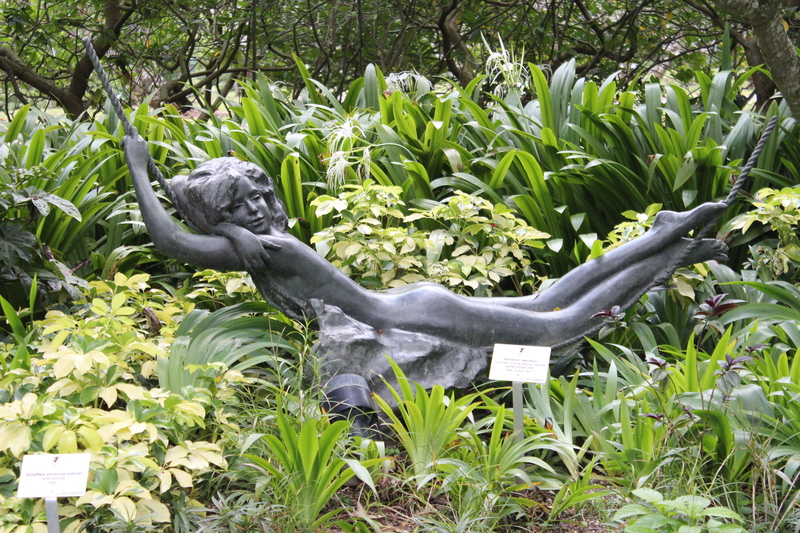 This entry was posted in Singapore Spot a Spot / 点出景点 and tagged Arts, life, literature, photography, postaday, Sculpture, Singapore Botanic Gardens. 31) What so special about this tree? This tree may look normal to us. 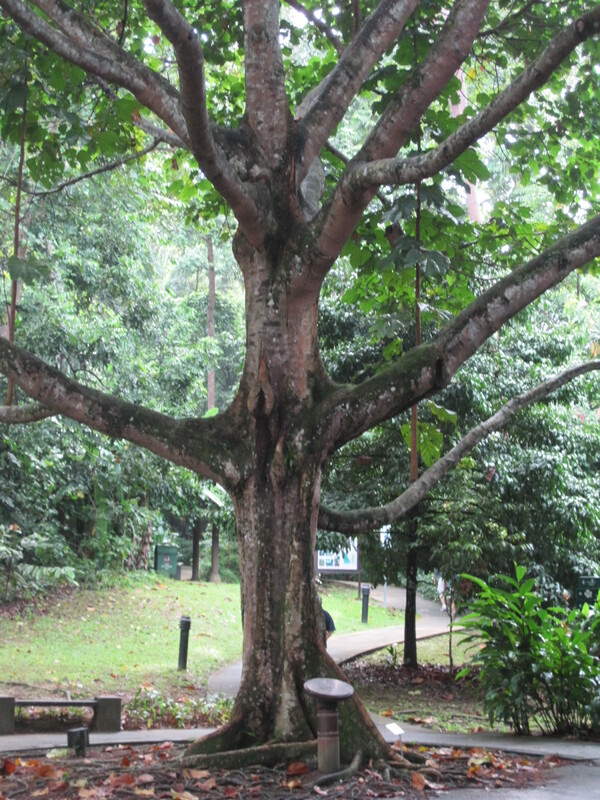 It is a tree of tropical rainforest which require humid climate though it can withstand dry season. 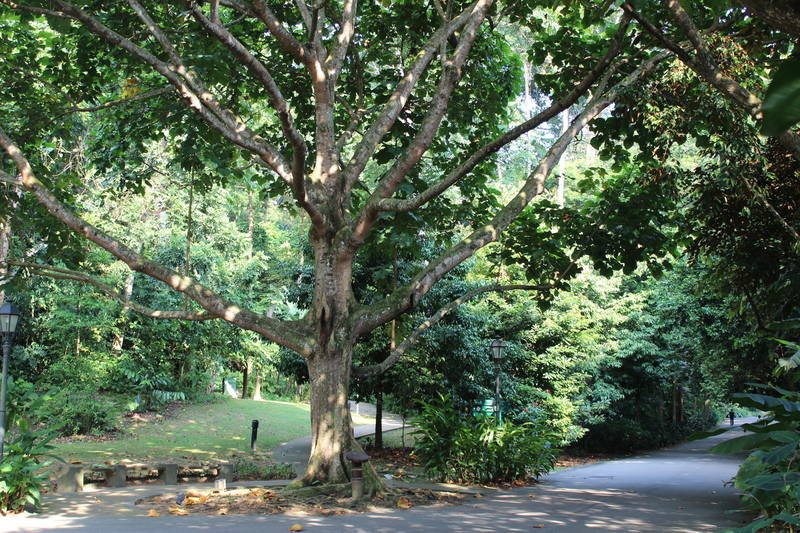 It is as special as its dedication to Mr Nelson Mandela, President of Africa who visited the Singapore Botanic Gardens 15 years ago, on 5th March 1997. The extracts from nuts of related species are used in cola drinks and food items. The cola nuts contain caffeine. Chewing cola nuts can also ease hunger pangs and was thought to be remedies for whooping cough and asthma. This is certainly an usual tree that is very unusual. This entry was posted in Singapore Spot a Spot / 点出景点 and tagged Africa, life, Nelson Mandela, photography, postaday, Singapore Botanic Gardens, tourist spot in singapore.